COLUMBUS — The Cedarville Opera House would indeed make a fine setting, Mike DeWine observes, but he considers himself a traditionalist. Ohio’s first-year Republican governor plans to deliver his inaugural State of the State address in its once-traditional home: the House chambers in the Statehouse. DeWine’s decision marks an end to former two-term Gov. John Kasich’s road show. After giving his first State of the State before a joint session of the General Assembly at the Statehouse, Kasich delivered his remarks in Steubenville, Lima, Medina, Wilmington, Marietta, Sandusky and Westerville. 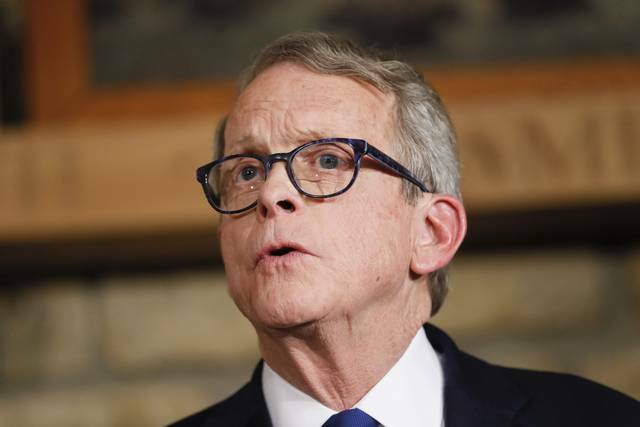 The timing of DeWine’s speech still is up in the air, but it could serve as a preview — or review — of his first state budget recommendations that by law must be delivered to lawmakers by March 15. DeWine was joined at the Statehouse this morning by House Minority Leader Emilia Sykes, D-Akron; Rep. Janine Boyd, D-Cleveland Heights; and Sen. Nathan Manning, R-North Ridgeville, to sign an executive order expanding protections for state employees victimized by domestic violence. The order recognizes a Sykes-sponsored state law that permits victims of dating violence to obtain civil protection orders. Dating violence previously was not included in the definition of domestic violence. “Those working in state government can be confident that their workplace will be a supportive environment for all domestic violence victims,” DeWine. The order requires all state agencies to take appropriate actions when an employee is a domestic violence victim, including modifying work schedules and locations if requested, granting leave requests and offering assistance through state programs.